Testo tools are the gold standard in food safety, from farm to fork. Consumers rarely have to worry about the food on their plate anymore; the world knows a lot more about how to prevent foodborne illnesses now than they did even 20 years ago. But that well accepted truth wasn't the easiest to establish in society. Manufacturers, distributors and restaurants have all relied on innovative temperature monitoring tools for food storage and cooking as a means of ensuring its integrity. From farm to fork, food safety has never been more safeguarded. The journey from a warehouse to a distributor – or straight to a restaurant – can keep even the most well-prepared companies on their toes. One minor shortage in the cooling system can lay to waste hundreds of thousands of dollars in inventory. If the fluctuations aren't immediately noticed, it could even get some customers sick. The testo Saveris 2 is ideal for safe food storage. 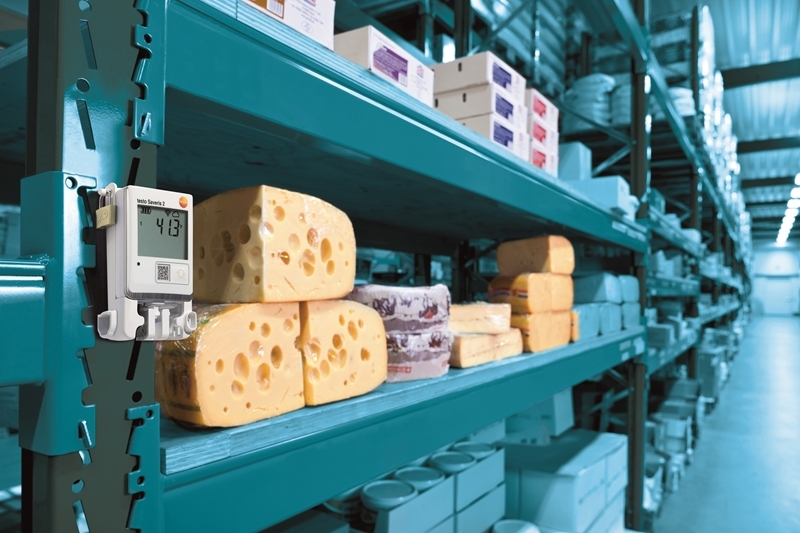 It's the very reason why many food transportation organisations utilise the testo Saveris 2, an innovative cloud-based temperature monitoring system. It provides the flexibility of working on a food storage truck, with the accuracy and reliability of transmitting data through Wi-Fi to any Bluetooth connected device in the world. Should a temperature threshold be crossed, management will receive a text or email and can immediately alert drivers to take action to prevent the food from spoiling. Compliance is a concern of the utmost importance in any restaurant. Versatility and accuracy is required in all food thermometers, and the testo 105 certainly fits the bill. The testo 105-1 is ideal for checking the temperature of semi-solid foods, such as meats and cheeses, and liquids throughout the day to ensure the heat in the kitchen doesn't affect the integrity of the food. With an optional probe available for frozen meats, restaurant managers can be certain their kitchen is up to ServSafe and other international standards. The testo 270 makes testing cooking oil a breeze. While the testo 105-1 can fit the bill for measuring whether meat has been cooked to the right temperature for consumption, some cooks remain uncertain as to the integrity of cooking oil used in fryers. Unlike other foods, a simple eye test doesn't do the trick. 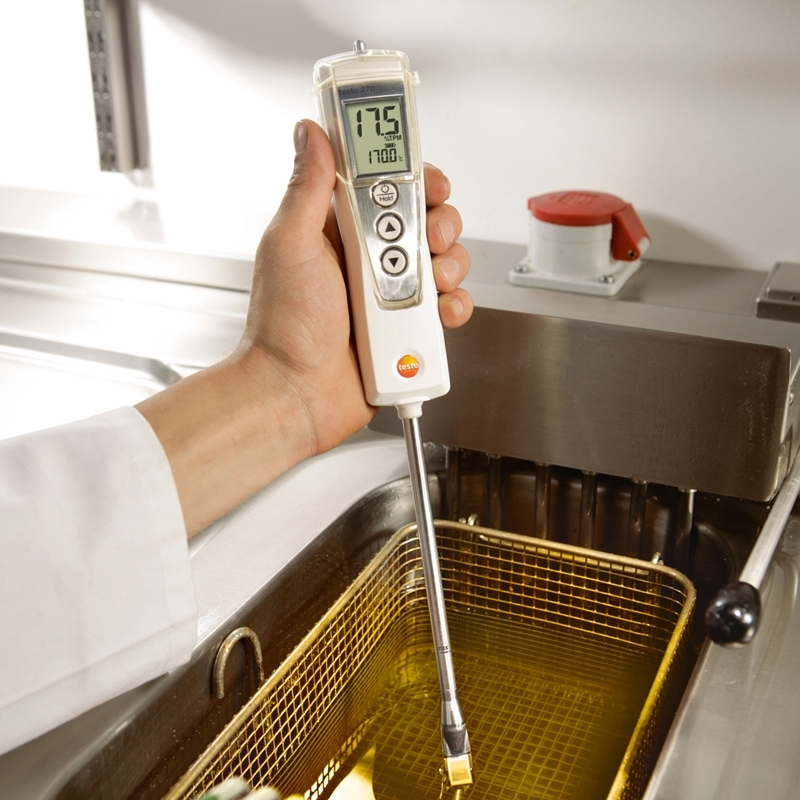 The testo 270 cooking oil tester fills a much needed gap, as it allows restaurant staff to quickly and efficiently check whether the oil needs to be changed. It comes with a three-colour system to make the task simple, and has the potential to provide 20 per cent in savings annually – or roughly $5,100. From farm to fork, new technologies are providing the gold standard in food safety. Contact a Testo representative today to learn more.